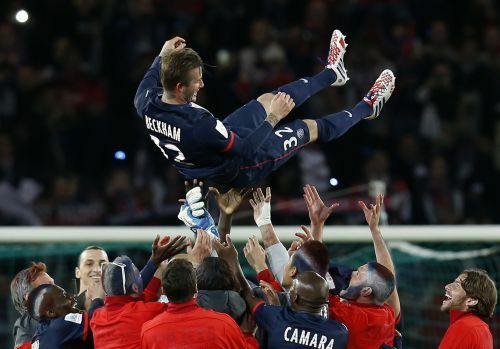 A capacity crowd chanting his name, the Eiffel Tower in the background: even by his own glamorous standards, David Beckham got a special send-off on Saturday as he headed into retirement with another title in the bag. "Tonight was a nice way to go out, in front of my family and in front of the capacity crowd who were excited because we won the league," the 38-year-old former England captain told reporters after his 10th and probably final Ligue 1 appearance. "The celebrations were incredible so it's a nice way to walk off the pitch," he added, having wiped away a few tears when he was substituted in the 81st minute of a 3-1 win against Stade Brest at the Parc des Princes. "It started 20 minutes before, the emotion started kicking in; it was hard to run, let alone kick a ball," said Beckham who was made captain for the game. "It was an emotional night, to see the reaction of the players, to see the reaction of the fans when I came off was special. "I did feel good (physically) but I know it's the right time," added Beckham, the only English players to have won league titles in four countries - England, Spain, United States and France. PSG, who sealed their first league title since 1994 last weekend with a 1-0 win at Olympique Lyon, still have one game to play, next Sunday at Lorient. Beckham, who announced he was retiring on Thursday, is highly unlikely to play on the Brittany side's artificial pitch, though. "We have to decide, but I don't think he will play. He will come with the team but I don't think he will play," coach Carlo Ancelotti told a news conference. "A plastic pitch is difficult for a 38-year-old,"
Beckham, who set up two goals in his 10 league appearances for PSG, said he was looking forward to spending more time with his wife, former Spice Girl Victoria, and four children. "After 22 years of playing football I'm going to take a few months to enjoy time with my family," Beckham said. 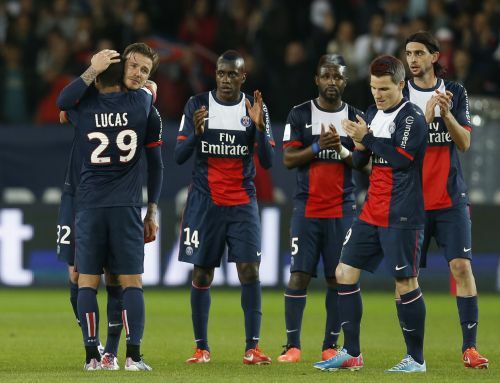 The former Manchester United and Real Madrid player could still be involved with PSG in some capacity. 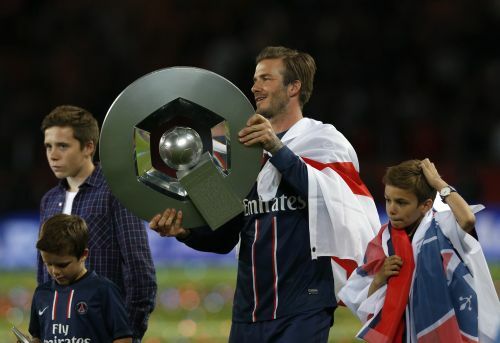 Club president Nasser al-Jhelaifi said earlier this week that he would have discussions with Beckham in the coming days. "It's been a very special place for me," Beckham said. "I have finished my career at a team who have treated me like I've been here for 10 years."